The Lovegoods design on a black or white, poly-cotton blend Jerico T-shirt. 100% sweatshop free and Canadian made. Design by Toronto artist, Andrea Manica. Available in sizes XS to XL. The Dirigible Plums EP in CD format. 2018. 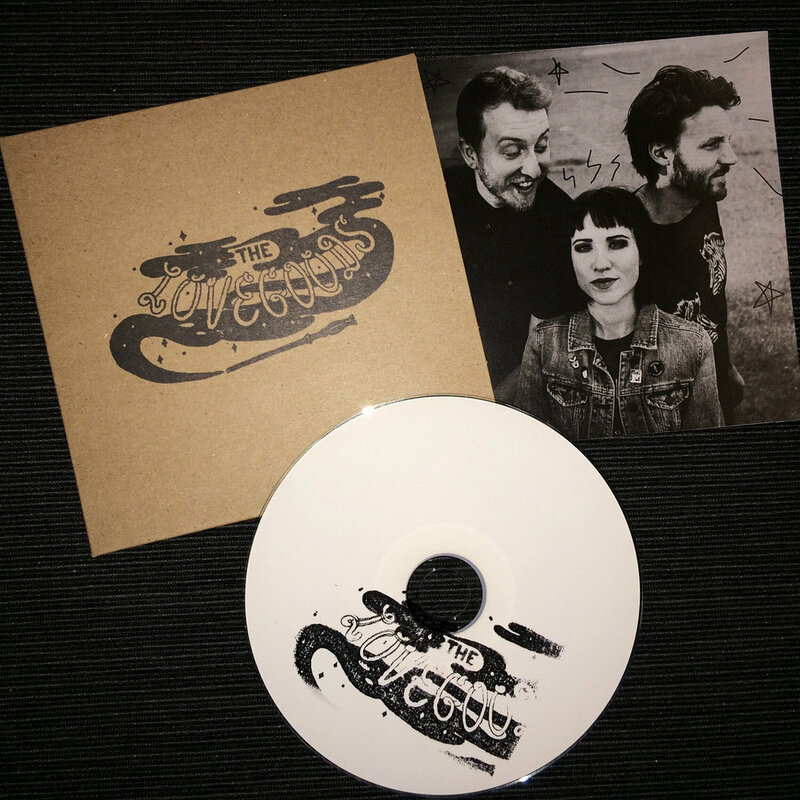 The Lovegoods debut EP in CD format. 2017.